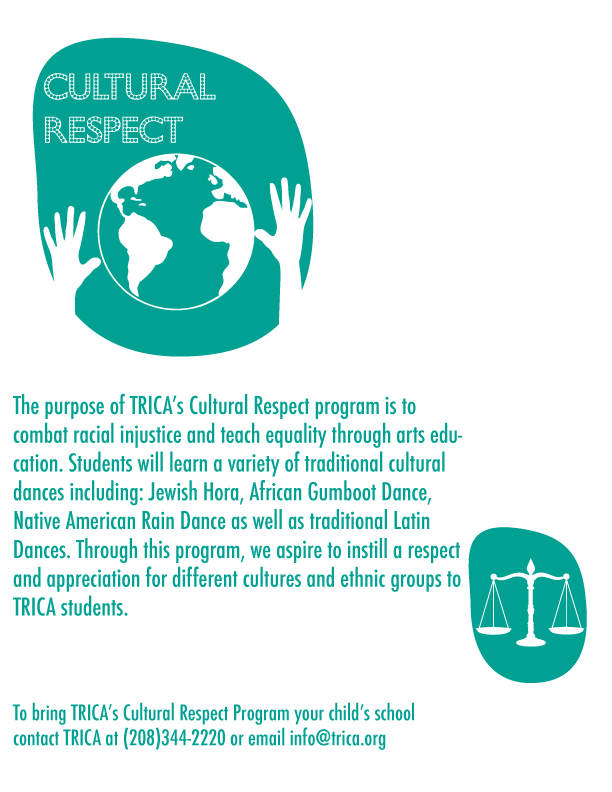 The purpose of TRICA’s Cultural Respect program is to combat racial injustice and teach equality through arts education. Students will learn a variety of traditional cultural dances including: Jewish Hora, African Gumboot Dance, Native American Rain Dance as well as traditional Latin Dances. Through this program, we aspire to instill a respect and appreciation for different cultures and ethnic groups to TRICA students.